Protecting your home, yourself, and most importantly – your loved ones – is one of the most noble reasons to own a firearm. Life can come at us in many unexpected and unsafe ways, and owning a firearm is a great way to ensure that you’re prepared for any and all of what life can throw at you. 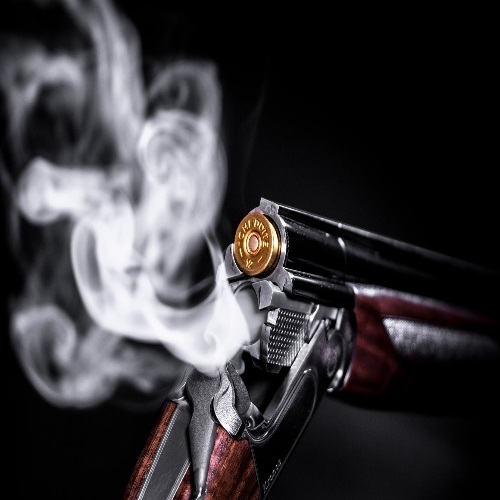 Most home defense situations involve tight corners, close combat, and occur around the nooks and cranny’s one would expect in a house or apartment, which makes the shotgun a popular choice for home defense reasons. Lacking in range but packing some serious punch, the shotgun is a classic home defense weapon, affording users the ability to neutralize threats confidently and emphatically. Given that shotguns fire ‘shot’ – a burst or spray of ammunition, as opposed to a single round – shotguns can be counted on to more reliably hit their mark in some capacity, which is extremely useful given the high-pressure nature of home defense situations and incidents. There is a vast array of shotguns available to service the entire gun community – no matter your skill level, experience, budget, or living situation, there is a shotgun out there that can help you. It’s important to consider all of these factors and more when deciding which shotgun to purchase, and most importantly to make sure the shotgun you’re using is best suited for you – as is always the case with guns, shotgun safety must always come first! However, with that being said, specifics of the user aside, there are undoubtedly a number of shotguns that are best when it comes to home defense purposes. There are a lot of age-old debates among shotgun owners, such as pump action vs. semi-automatic, or .410 Bore VS 20 Gauge, but in this feature we’re talking strictly self-defense. We have compiled a run down a number of these firearms here, in our Best Home Defense Shotguns 2016 feature! Utilized for a number of purposes ranging from sport shooting, to hunting, to home-defense, to law enforcement and military use, the Remington 870 is one of the best all-purpose shotguns available. However, where the 870 model truly shines is as a home defense weapon. Although there are a number of editions and variants of the 870 shotgun, all of them fall under the same general makeup which is, again, ideal for home-defense purposes: short barrel, short stock, healthy magazine feed with options for extended mags, high ease of use, and great build quality (as all Remington models are known for). The versatility and customization options afforded by the 870 are also extremely helpful for home defense purposes, as the shotgun can handle different kinds of ammunition including both lethal and non-lethal rounds, is easily cared for and maintained, and features a modular design. What a modular design means is that the parts can be easily swapped or change to fit more specific wants and needs of the user, meaning the shotgun can be customized to fit the needs of any home owner. At around $400, the Remington 870 is also very competitively priced for a home defense shotgun, which is part of what makes it such a popular choice among gun owners. The choice of the Gunivore staff when it comes to home defense shotguns, the Mossberg 500 is an excellent choice for homeowners looking to defend their homes. Part of what makes the Mossberg 500 shotgun such a reliable choice for home defense use is that Mossberg has been producing, fine-tuning, and perfecting the 500 shotgun for over 50-years – the model has, above all else, earned a reputation for its dependability and reliability, which are the most critical factors when it comes to home defense weapons. The manual-action cycle significantly reduces the odds of malfunction, giving the 500 one of the best track records for malfunctioning (or lack thereof) in the category. Additionally, the pump-action and sliding fore end helps to stabilize the gun, making it friendly to both novice gun users and experts alike. Like the 870, the gun offers a large number of options when it comes to customization, including (but not limited to) extended mag tubes, integral lights, tactical sights (laser or otherwise), accessory rails, and heat shields. Again like the 870, this means that users will be able to fine tune their gun to fit their specific needs – which, again, has driven the popularity of the 500 to incredible heights. At $300 to $400, the 500 is also very reasonably priced and affordable for gun owners of any income level. Stepping into a more advanced level of home defense or tactical shotgun is the Benelli M4. While some shotguns can feel like a classic, beat-up pickup truck, the M4 is more like a sports car, boasting bells and whistles that lesser shotguns could only dream of featuring. Firstly, the semi-automatic nature of the gun eliminates the commonly found pump-action on shotguns and makes for a quicker, more efficient, and more tactical shooting experiences – great for stealth home defense situations. Quite simply, the gun is built with speed, efficiency, and performance in mind – no corners were cut in the manufacturing of this gun, as is evidenced by the price tag (more on that later). The Benelli Argo system is a dual short-stroke, self-cleaning gas piston mechanism, which makes the action cycle very quickly while keeping the gun clean and free of obstruction. However, like a sports car, the M4 needs to be cared for intricately in order to maintain its high level of performance – a minor drawback in an otherwise world-class shotgun experience. The design and ergonomics of the gun are on-point as well, as the grips, handling, and exterior of the gun are built for both comfort and functioning. At about $1,800, the gun is certainly on the pricier side, but that is to be expected when dealing with a world-class firearm like this. Featuring a number of unique features not generally found on traditional home defense shotguns, Catamount’s tactical shotgun is a nice change of pace for gun owners looking for something different, or with particularly specific needs. A gas-operated, piston driven, semi-automatic 12 gague shotgun, the Catamount offering is adjustable for both high brass and low brass ammunition and can handle 2 3/4 -inch and 3-inch shells, a feature that is virtually unheard of in shotguns of this nature. The 12-gauge also includes removable chokes, an adjustable gas system, a dust cover featuring a rail, a bolt-hold open (which is especially practical), and extra magazines. The primary advantage to this gun is in the options when it comes to magazines, as well as the ease and accessibility of the magazine well – swapping mags with the Fury 12 gauge is far easier than doing so with other shotguns, and is especially easier than loading a shotgun tube with rounds. At about $500, the Catamount is on the lower range of the middle of the pack pricing tier for home defense shotguns of this nature. It wouldn’t be much of a home defense shotgun list without the inclusion of this absolutely classic Winchester model, the legendary 1897 shotgun. The brainchild of the revered and respected John Moses Browning, one of the most celebrated gun inventors of all-time, the 1897 has come a long way and seen many alterations from the time of its introduction in 1897, but it has truly stood the test of time and remains a reliable home defense shotgun to this day. The first successful pump-action shotgun produced, there is something so satisfying about operating the 1897 – it’s a feeling that no other shotgun has quite been able to capture or emulate. 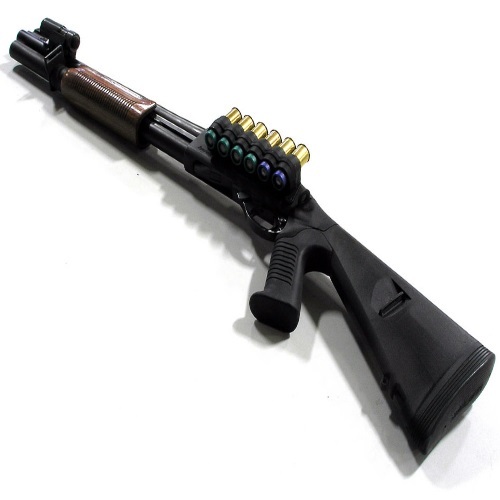 The 1897 is an external hammer shotgun lacking a trigger disconnector, which means that the shooter can hold down the trigger while cycling, and once the action is returned to battery the gun fires, making this a quick and easy fire and thus a great option for any and all would-be home defenders. The Norinco 97, produced by the Chinese company of the same name, is an exact copy of the Winchester 1897 and a popular choice among gun owners today. At anywhere from $400 to $1000 depending on condition and vintage, the 1897 is at best a cheap option, and at worst a moderately priced one. Another classic of a shotgun that has maintained its standing as an ideal go-to home defense shotgun to this day is the Browning A5. The namesake feature of the gun, the A5 is an autoloader shotgun with a capacity of five rounds of ammunition (four in the magazine and one in the chamber. Shells in the A5 are stored in a tubular magazine beneath the battel – when a chambered shell is fired, the barrel recoils together with the bolt, and the hammer is re-cocked. The barrel returns forward as the spent shell is ejected, after which the bolt feeds another shell into the action. This patented design was developed by John Browning himself, and went a long way towards revolutionizing the shotgun as we know it. Known for its build quality, reliability, ease of use, and accuracy, the A5 is one of the most commonly used shotguns for home defense purposes in the world, and it’s no mystery as to why – the gun is easy to pick up and use for beginners, but still sophisticated enough and featuring a high enough level of quality to appeal to experienced gun owners as well. At $1,300 to $1,500 in price, the Browning A5 is on the upper end of the middle tier in terms of shotgun pricing. A shotgun is a great option to select in order to ensure that you’re ready and able to defend yourself and your family for anything while inside of your home. Although some great options were not included here, notably the Kel-Tec KSG, Familiarize yourself with the options available in shotguns and select the gun that is best suited to fulfill your needs. Remember, it’s important to always keep in mind that what works for some gun owners may not work for another. Figure out what’s best for you in terms of home defense shotguns and you’ll be primed and ready to keep your home fully defended in no time!